The electrical impedance spectroscopy technique was used to measure the electrical impedance of the human bladder tissue for differentiating pathological changes in the urothelium. 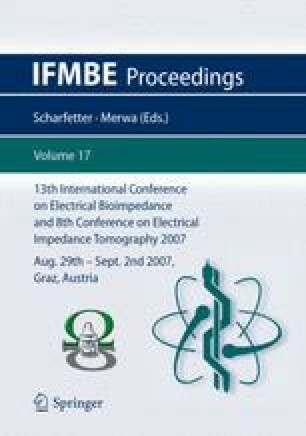 Then, a numerical technique, finite element analysis (FEA) was used to model the electrical properties of this tissue in order to predict the impedance spectrum of the normal and malignant areas of this organ. After comparing the modelled data with the experimental results, it is believed that there are some factors that may affect the measurement results. Thus, the effect of inflammation, oedema, changes in the applied pressure over the probe and the distensible property of the bladder tissue were considered. Also, the current distribution inside the human bladder tissue was modelled in normal and malignant cases using the finite element analysis. This model results showed that very little of the current actually flows through the urothelium and much of the injected current flows through the connective tissue beneath the urothelium.